The purpose of this policy is to comply with IHL’s tuberculosis screening requirements for international students who plan to attend classes at Jackson State University. All international students must provide proof of tuberculosis screening by having the following two (2) tests performed prior to registering for classes: 1) a blood test that helps determine if one has been infected with the tuberculosis organism, past or present (interferon gamma release assay or QuantiFERON Gold) and 2) a chest X-ray. Both must be performed in the United States six weeks or less prior to the first day of classes and performed only by a facility that is partnered with or approved by the Student Health Center. No other tests will be accepted. 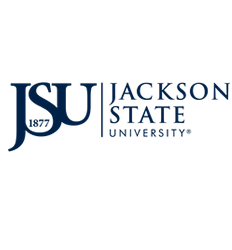 Jackson State University has partnered with Central Mississippi Health Services located near the campus and the Mississippi State Department of Health to offer students a discounted rate for both the chest X-ray and the blood test, respectively. All newly admitted international students must come by the Student Health Center on arrival to campus to have these tests scheduled. The costs of the chest x-ray and blood tests will be incurred by the student and must be in the form of cash, money order, or debit/credit card. All results are to be forwarded directly from the approved testing facility to the Student Health Center. International students who do not complete the above tests or adhere to the above testing procedure will experience a delay in the registration process until the tests are completed. International students are encouraged to arrive early so that all testing can be completed before the start of classes. All test results will be discussed with the prospective student and he/she will be directed to appropriate follow up care if required.